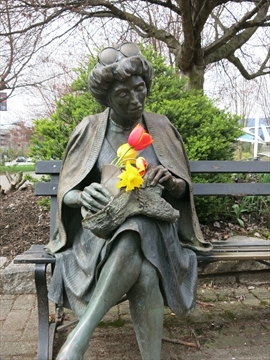 The Devonian Harbour Park is a 4.42 hectare park located at 1929 West Georgia Street near the end of Coal Harbour. This area is essentially the Georgia Street entrance to Stanley Park. 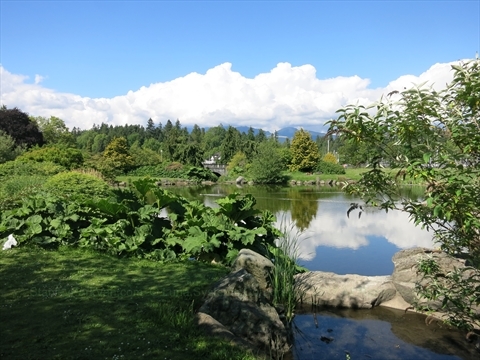 The park is a serene area which has a large grass area, large pond and some interesting statues in it. It is also is a dog off-leash area. 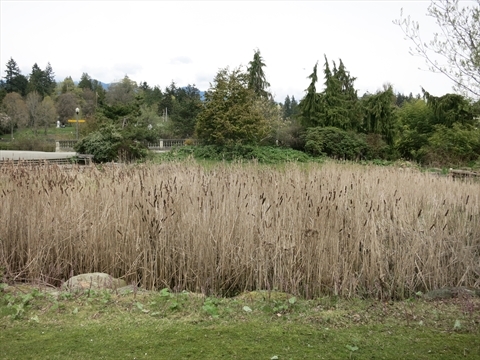 Although the park is bordered by a major street, Stanley Park, and the Coal Harbour Seawall it is hardly used and quite serene. Most people just walk on by it. It is worth exploring. 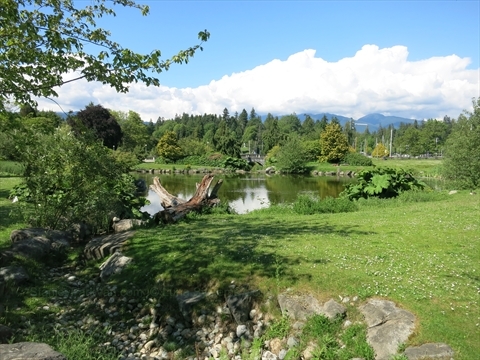 This park came about in 1984 when the property was purchased with help from a $600,000 donation from the Devonian Foundation in Alberta. Historically, the location where the park is was settled by some Hawaiian families who call it 'Kanaka Ranch'! There are also some memorial cherry trees planted in memory of AIDS victims. 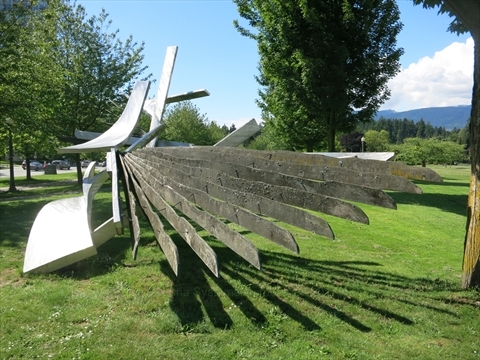 The large multi-level wing like scupture in Devonian Harbour Park is called 'Solo' and was created by Natalie McHaffie. 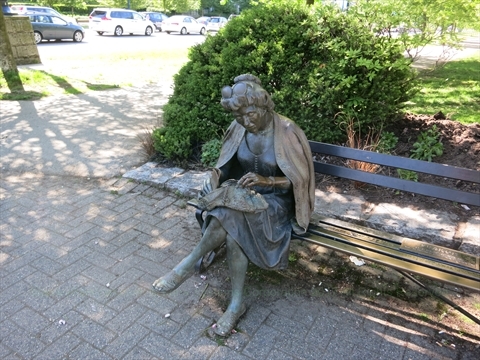 There is also a statue of an old lady sitting on a bench which is very popular with photo takers! 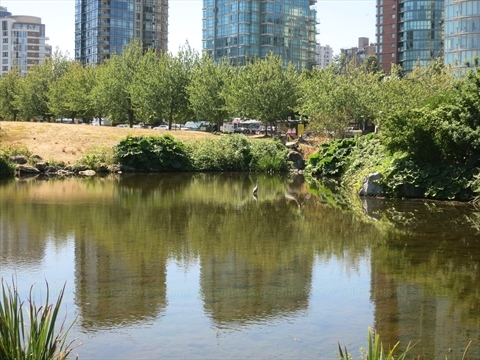 Where is Devonian Harbour Park in Coal Harbour? 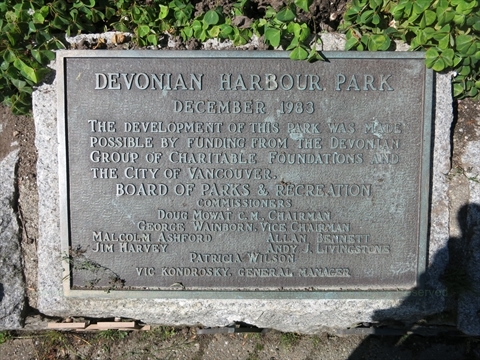 Devonian Harbour Park is located at 1929 West Georgia Street at Denman Street. 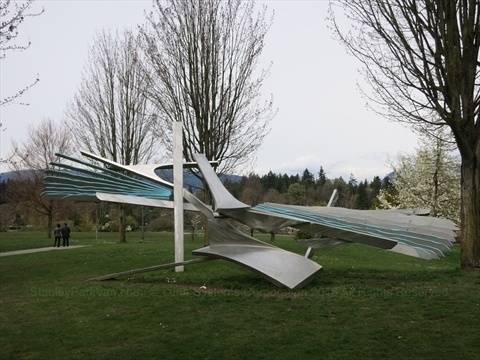 It is on the north side of Georgia Street and is bordered by Coal Harbour on the north side. 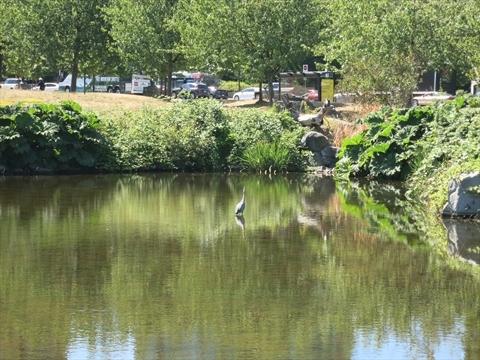 The Coal Harbour Seawall is on the north side of Devonian Harbour Park.